from poetic meditations to documentary interventions, and these serve as a continual inquiry into the nature of our interaction with the environment by utilizing expanded interactivity. Points of View is an expansion of my work with experimental narrative formats; it is an expanded exploration of non-linear narrative design, depicting documentary-based materials. 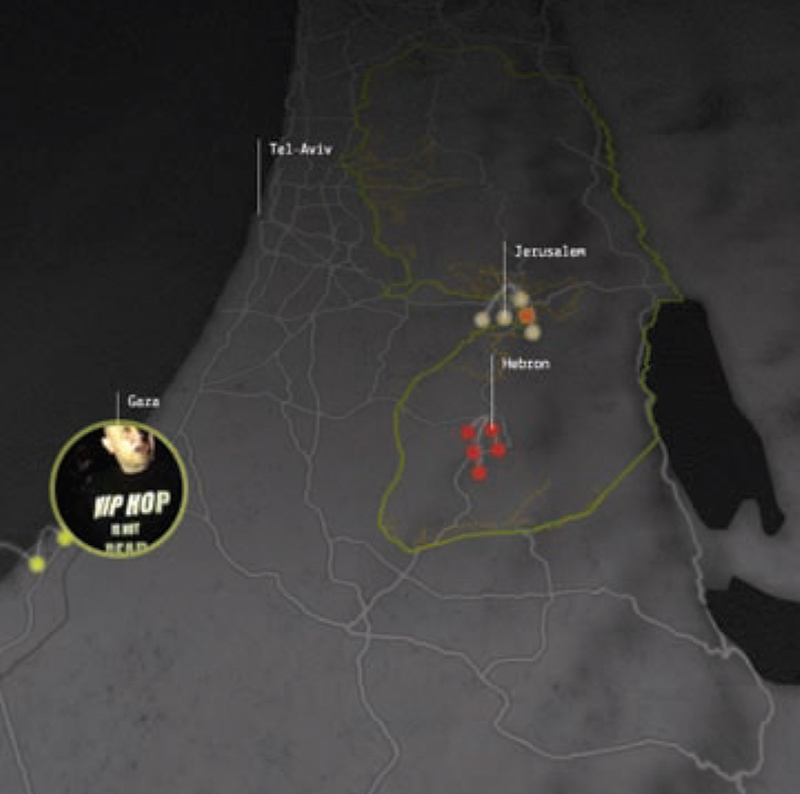 events or areas, but also allow them to make their own connections—creating non-linear narratives that resist the fixed conclusions that can be provoked by linear documentary filmmaking—and experience life in the West Bank and Gaza from multiple points of view. This work relates to the theme of acting in translation as it brings into play multiple realities and potential truths by revealing unexpected juxtapositions between various kinds of lived experience. Different choices of interaction lead to different emphases, underscoring the multivalent nature of both conflict and quotidian life in the region. 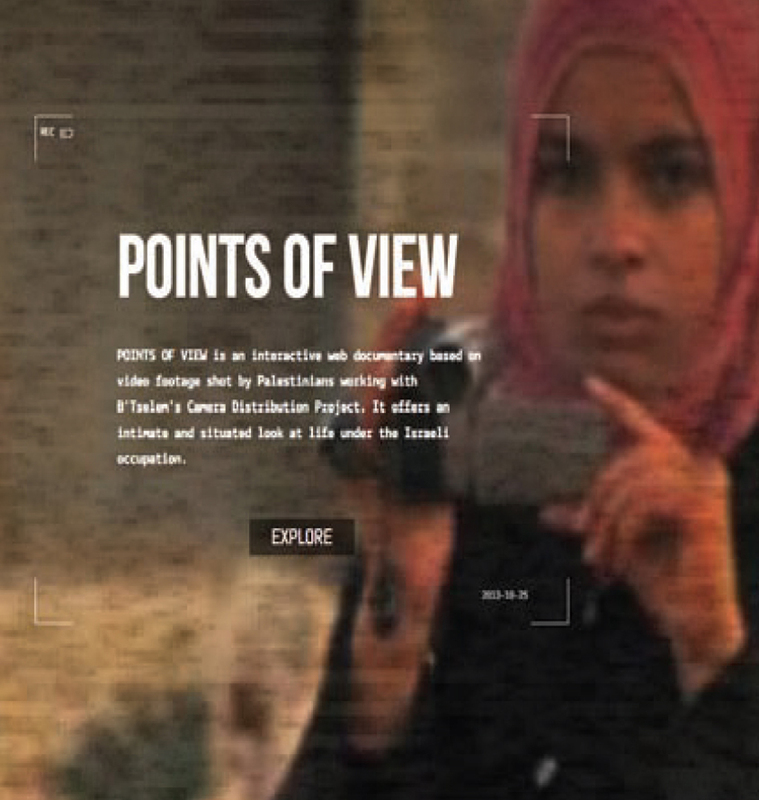 Points of View is an interactive web documentary based on video footage shot by Palestinians working with B’Tselem’s Camera Distribution Project. It offers an intimate and situated look at life under the Israeli occupation. This project brings these materials to the international public in a manner that is respectful of their content yet innovative enough to provoke a more nuanced form of engagement than conventional documentary; it is an artistic exploration of a complex political issue that raises questions of community engagement, social awareness, and the social and phenomenological shaping of narrative.